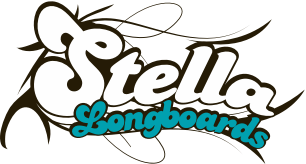 For those who aren’t willing to risk an overdose, the Stella Uno Dose is an over the counter go-to for the illest of downhill sessions. This drop-down, top-mounted, downhill and freeride board is the younger sibling to the Stella Double Dose and offers a slightly longer wheelbase than its big bro. Its tapered waist with plenty of space for footing makes the Uno Dose an easy pill to swallow.